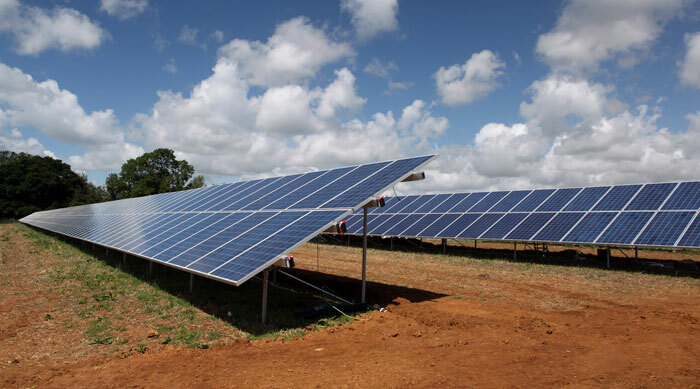 Battery storage systems have been deployed at 10 solar farms around Britain owned by infrastructure investor Ancala Partners. The portfolio, which was installed with the help of storage provider Anesco, can store 12MWh of power and has a maximum output of 11MW. As well as being used to store surplus energy from the sites until it is needed, the batteries will also provide balancing and frequency response services to National Grid. “It’s an exciting time for the sector and we are proud to be playing a leading role in the deployment of energy storage technology in the UK,” said Anesco executive chairman Steve Shine. Earlier this month Anesco revealed its own plans to develop the largest battery portfolio in the UK by 2018. In February, Western Power Distribution began a year-long trial into the use of solar-linked battery storage.